When I was studying classical piano at the music school I always had one nightmare every time I had to attend class. I could never appreciate how important they were, plus I was so enjoying the melodies and the history of every piece of classical music that I couldn’t wait to play it. Of course, that was about 15 years ago. Studying the exercises at home was never an option for me as I would sit down in front of my piano and I would play all kinds of songs, or just melodies. 15 years later, I found myself enjoying some exercises from the book pictured above. I believe I can easily say that it is invaluable. Tons of exercises for finger independence, scales, power etc. Best recommendation is to play along the metronome from 60bpm to 108bpm and repeat the exercises regularly before continuing to the next one. Of course I am not anywhere near that, but it would certainly help me improve my technique. 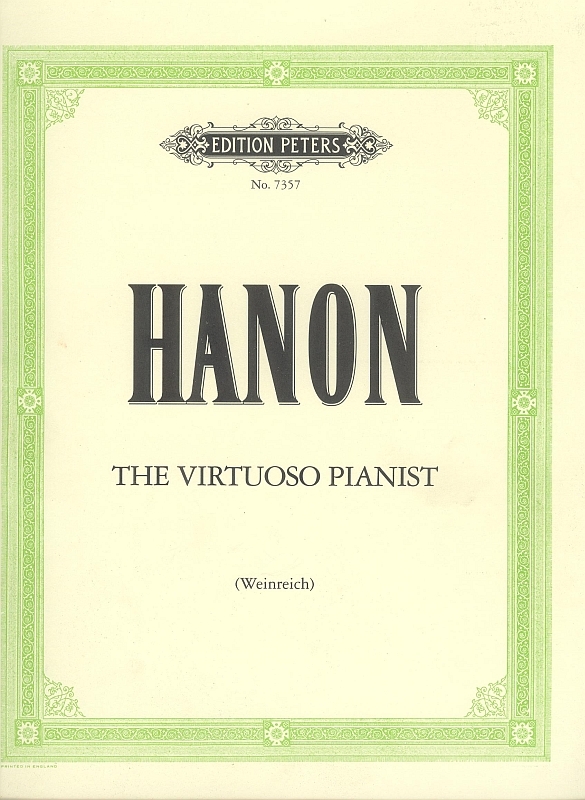 This entry was posted in Music and tagged BPM, EXERCISES, HANON, MELODIES, METRONOME, MUSIC, PIANO, SCALES. Bookmark the permalink. ← Manos Hadzidakis – A prophete?